Jerome Smith of New Orleans is 78 now. 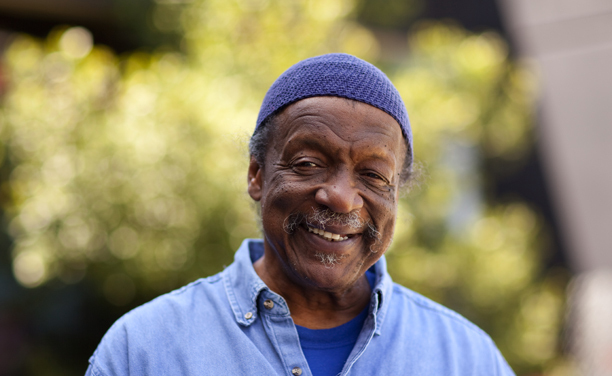 He is still six feet, four inches tall, though slightly stooped and tilted due to beatings that he took as a nonviolent demonstrator for Civil Rights. One set of injuries, the most serious, from brass-knuckled blows to his and other Freedom Riders’ heads by a mob in McComb, Mississippi on November 29, 1961, left Smith with lifelong headaches. He wears kufi skullcaps and shirts of white or azure-blue. His eyes need regular dilation, but his gaze is typically frank, searching, patient and kindly. The creases in his face speak to a wealth of experiences. He remains a director of the New Orleans’ Tremé Center and he particularly focuses on teaching young people culture and traditions. He has had the nickname “Big Duck” for decades. It comes from children of the Tremé neighborhood following behind him as if he were a big duck. Smith was 2017’s honored elder—this year’s Griot—at the Ashé Cultural Center’s Maafa ceremonies on the weekend before the 4th of July. Carol Bebelle and Luther Gray of the Ashé cited Smith’s ongoing service to communities of New Orleans. They said his work began when Smith was himself a young man, and they said he risked his life in New Orleans and elsewhere in the Deep South over years of collective struggle. Their actions moved outside of New Orleans and they were relentless. 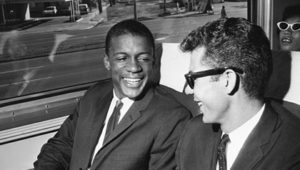 They joined Freedom Riders testing new federal desegregation laws across the U.S. South. They rode from Washington, DC into Georgia, Alabama, Mississippi, Louisiana, Tennessee and they and a new Student Non-violent Coordinating Committee group in Nashville, Tenn., refused to be daunted or turned around. They refused airplane rides offered by Attorney General Robert Kennedy. 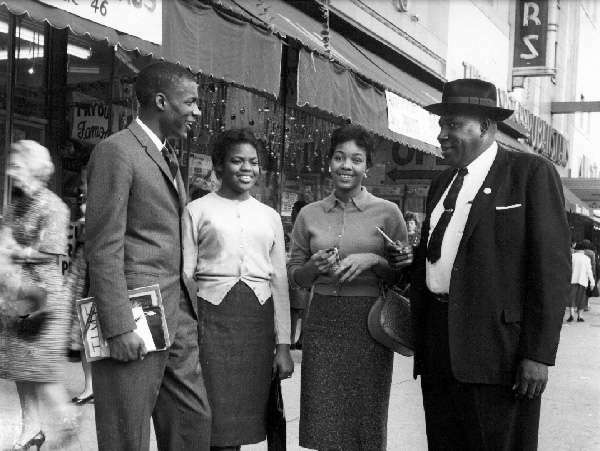 On November 29, 1961 five from New Orleans, Julia Aaron, George Raymond, Dodie Smith-Simmons, Smith and Tom Valentine, tried to be served in the Whites-only section of the bus station in McComb, Miss. A mob met them with brass-knuckles and baseball-bats. Still they persisted. Their “safe houses” in New Orleans were the healing and teaching refuges for northern students, Black and White, who were venturing into campaigns elsewhere in the racist south or recovering from their beatings in such campaigns. The Castle sisters’ family house at 917 N. Tonti, near the Lafitte Housing project, and the Thompson sisters’ house at 1923 Tupelo in the Lower 9th Ward, became bases. Norma Libson from Philadelphia, Penn., was among those welcomed. She told journalist Katy Reckdahl in 2001: “One of the things we learned was how to hold ourselves in case we got beaten. You had to curl up in a fetal position because you didn’t want your insides to be clubbed. And you put your head down with your arms over your head so that your arms might be broken but your head won’t split open.” Libson stayed at the Thompson sisters’ Tupelo Street home, where someone was always cooking despite a parade of visitors and a phone that rang non-stop, she said. “I still love them,” Libson said. Lorraine Hansberry backed up Jerome, saying “You’ve got a great many very, very accomplished people in this room, Mr. Attorney General. But the only man who should be listened to is that man over there. If you can’t understand what this young man is saying, then we are without any hope at all because you and your brother are representatives of the best that a White America can offer. And if you are insensitive to this, then there’s no alternative except our going in the streets … and chaos”. The struggle, of course, continued. In September 1963 four young girls died in a Birmingham, Ala., church that was firebombed. In June 1964, three workers for Blacks’ voter-registration in Neshoba, Miss., were followed from jail by the police chief and other Klansmen, kidnapped and murdered. And the car they were driving, a 1963 Ford Fairlane station wagon that Smith purchased in upstate New York from a friend of Lena Horne’s and that was later delivered to Mississippi to be used by CORE workers there, was found burned out and abandoned. On the night of June 30, 2017, accepting his Griot award as part of this year’s Maafa ceremonies at the Ashé Power House, Smith spoke of subjects and in ways that reached far and deep. He spoke like a mystic oracle. Smith received his Griot’s walking-stick from the Ashé’s Carol Bebelle and Luther Gray at conclusion of a stirring series of Maafa-oriented performances. The Oyo Oyu Dance Troupe from Santiago, Cuba enacted a ritual of Loas’ courtship with drummers Alexey Marti and Bill Summers. The poets Sunni Patterson and Ariel Kenyatta and the rapper Dee-1 spoke poignantly and with sharp points about abuses of Black people from colonial Kenya to present-day news. The singer Tonya Boyd Cannon combined Gospel and Reggae to a standing-room-only, sit-yourself-down-on-the-floor crowd who rose clapping and dancing their feet. While being honored at Ashe, Smith said “the light in children’s eyes” was the most important thing in the world. He said he sees that light every day when he talks with children in the Tremé Community Center and as they all walk and spend time before statues in New Orleans’ Louis Armstrong Park. He tells them about Louis and about Mahalia Jackson, Buddy Bolden, Sidney Bechet, and Big Chief Tootie Montana, and they understand the greatness of their immediate ancestors and their African ancestors and they begin to clap, exclaim and ask questions.